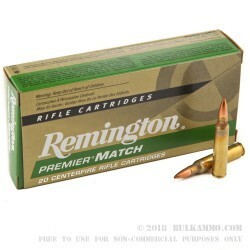 A sub Minute of Angle masterpiece from the Remington factory, with the right gun these cartridges can easily produce same hole groupings at more than 200 yards. It all starts with the premium component selection from a clean, fast burning powder that is measured in an extremely consistent way and the primers that ensure excellent reliability of ignition. To the brass which is annealed at the throat and offers high tolerances; all the way to the projectile, where Remington has utilized the incredible Sierra Match King boat tail hollow point – the winningest projectile in history. The inherent accuracy of the Sierra Match King is absolutely unmatched in the projectile arena, as shown by the accolades and awards, but mostly by the group sizes. When the velocities are matched carefully, through powder charge uniformity, the potential accuracy for this Match king projectile is half minute of angle or less. Truly there is potential for a single ragged hole at distance. 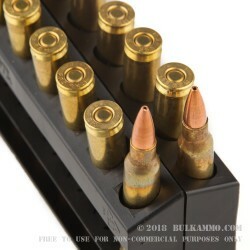 A near perfect match gun or hunting gun load, this premium loadout of best utilized in a twist rate of 1 in 7 generally, for the best accuracy potential, though it can be shot out of a 1 in 8 twist with very good results too. 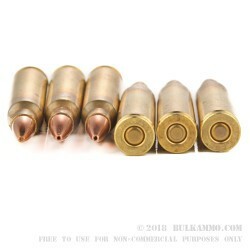 These twist rates tend to most accurately stabilize the flight of this 77 grain match bullet best. 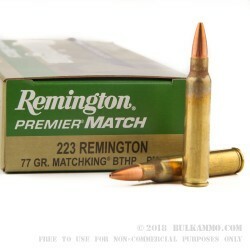 I recently picked up some of this Rem 77gr match ammo to give it a try. I have tried many match ammos in my Lilja barreled precision AR. It is 1-8 twist and 24" length.